 If you would like to be a member of Glossop Amateur Swimming Club. Please read the following information and then complete and submit the application form below, One of our coaches will be in touch to arrange an assessment. Please allow one week for a reply. Where are the clubs pools? The club runs swimming sessions at Glossop and New Mills swimming pools. What are the membership application requirements? The minimum entry age to be a member of the swimming club is 5 years old. Glossop pool swimmers will be required to swim a recognised length of each swimming stroke, including butterfly kick. This has to be achieved without buoyancy aids. The recommended swimming level, is level 6 or above. New Mills swimmers may use buoyancy aids during the assessment. Glossop swimming pool holds sessions on Tuesday, Wednesday and Friday evenings. New Mills swimming pool holds sessions on Saturday evenings. For all session times please see training timetable on the web site. On arrival at the pool please sign in at the club desk.Then accompany your child onto pool side and make yourself known to the club coaches. You will be able to watch the session from the club balcony or viewing area. The assessment will be with one of our senior coaches. They will ask the swimmer to swim a length of the pool of each swimming stroke. (Breaststroke, Backstroke, Freestyle and Butterfly (Butterfly kick is acceptable). The swimmer can then join an appropriate lane for the remainder of the session. The coach will be looking at the swimmers stroke technique and ability in the water. We will also take into account how the swimmer responds to coaching and whether the club has space for them in the appropriate lane. How will I know if the assessment was successful and the swimmer can join the club? You will be given feedback from the coach at the end of the session. If successful the swimmer may attend two more sessions before being required to join the club. There will be no cost for the first three trial sessions. Will I need to fill in any forms? To complete the membership process you will be required to complete and return the necessary paperwork. Membership and standing order forms can be found on the web site. As a Glossop ASC member you are agreeing to abide by the club rules of conduct. A copy can be found in the Club Rules and Policy section of the web site.